These Ridiculously Easy Cider-Glazed Apple Scones are buttery, flaky, and studded with bits of tender apple. They’re also ridiculously good! Guess what? Ridiculously Easy just got easier! If you follow The Café you might remember some of our other ridiculously easy recipes. They belong to a series of crazy easy, never-fail recipes that are perfect for uncomplicated yet company-worthy entertaining. They also work well for everyday meals and family gatherings. These Ridiculously Easy Cider-Glazed Apple Scones tick all the boxes and might just be the easiest Ridiculously Easy recipe of all! I love researching recipes and techniques that make cooking for family and/or friends easier as well as more enjoyable and rewarding. One of the brilliant techniques I discovered several years ago in Cook’s Illustrated magazine was a way to eliminate the classic “cutting butter into flour” step that most biscuit recipes call for. You can read more about the easy process in our Ridiculously Easy Buttermilk Biscuit post. Thank you for this easy-to-follow recipe. I have never made biscuits before and they were beautiful. I am probably more proud of myself than I should be! They were fun to make and tasted great as well. 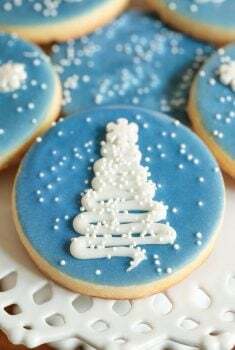 I have been searching, saving and trying various biscuit recipes for years!!! I have finally found my biscuit recipe. Absolutely tender, amazing and delicious. Thank you, thank you, thank you. Now to delete all the other biscuit recipes I’ve saved! Made these this morning, and man oh man! Delicious! Very easy and hassle-free. It took me about 10 minutes from start to oven. Thanks for a new staple! I made the buttermilk biscuits and let me tell you they were the best I ever made. I have tried so many recipes and this one was a hit, thank you so much. I feel so lucky to have found this astounding recipe! I’m from the south US so I know all about biscuits…alas living in NYC means restaurants rarely have them on the menu. But making them was so fussy, I got butter everywhere and they didn’t turn out. I’ve made these 4 times so far and they are always wonderful! 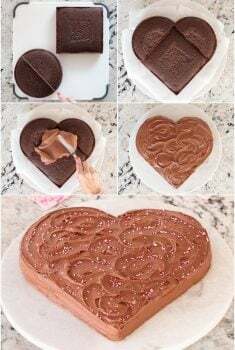 Would this wonderful, easy technique work with scones? A few months after finding this super easy way to make biscuits, I decided to try the Cook’s Illustrated genius technique with scones, which often also require the “cutting technique”. 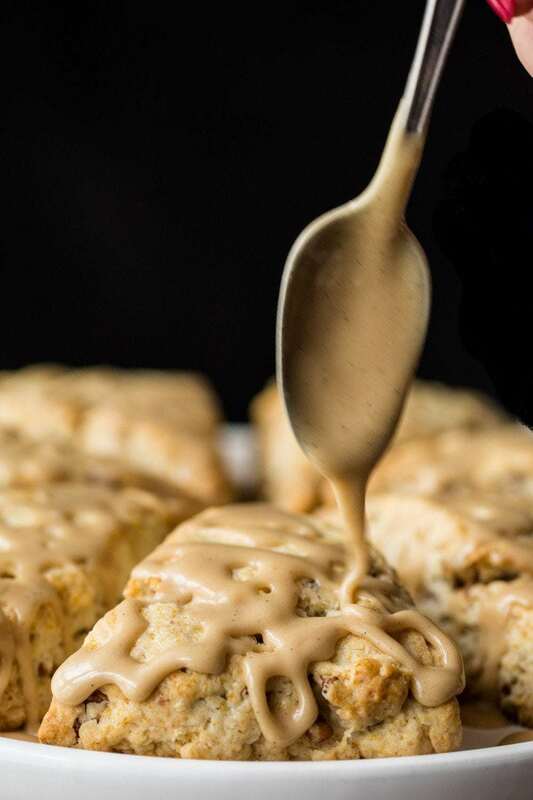 I was shocked to discover the same wonderful (easy) success with my scones and posted the recipe for these Ridiculously Easy Maple Pecan Scones. These have also been super popular with Café readers and have lots of 5-star comments. 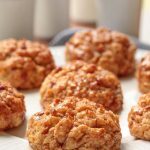 So here we are with a new Ridiculously Easy scone recipe, melt-in-your-mouth delicious and perfect for the fall and holiday season. These Easy Cider-Glazed Apple Scones will be a hit for family breakfasts and brunches with friends. I used a drop technique for these scones rather than rolling out the dough and cutting it into wedges as with classic scones. This drop technique creates a beautiful, rustic scone and the bits of diced apple poking out all over the place makes them pretty much irresistible. The bonus is that this technique also makes the recipe even more ridiculously easy! Certainly a win-win for me! The cider glaze is also easy, but adds a wonderful layer of flavor to the already delicious scones. While the scones bake, it’s simply a matter of boiling apple cider with a bit of butter and sugar until syrupy. After 15 minutes of baking time, the scones are brushed with this fabulous glaze and popped back in the oven for a few more minutes to set the glaze. See what I mean? So easy, and so pretty! All this to say, if you think scones are just for experienced bakers, give these Ridiculously Easy Cider-Glazed Apple Scones a try. If you can stir and scoop, you can make them. I promise! And after you become the famous scone maker in your family or at your workplace, be sure to come back and share your results in the comments below. It will give others the confidence to try the recipe too! The recipe for calls for one apple, diced 1/4-inch thick. 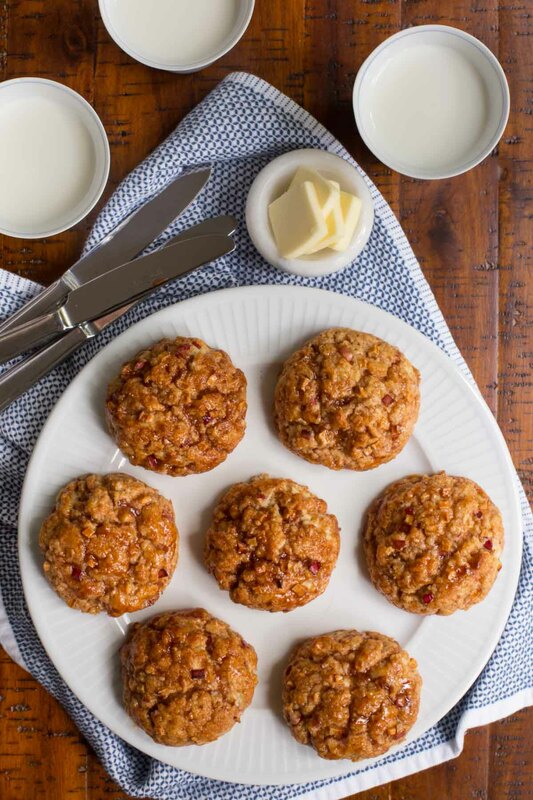 I use my Vidalia Chop Wizard to chop an apple for these scones in less than a minute. In fact, the last time I made them, my 5-year old granddaughter, Emmy did the chopping for me – and had a grand time doing it! I keep my Vidalia Chopper handy because I use it all the time. It’s also perfect for dicing carrots, potatoes, squash, zucchini, onions, peppers, and sweet potatoes. I use a one third cup ice cream scoop (#12) to make sure my scones are a uniform size. This also gives them a nice round shape. This size scoop will yield 8-10 scones, depending on how full you fill the scoops. You could also make smaller scones by using a smaller scoop. If your cream mixture doesn’t form the “clumps”, your cream probably wasn’t cold enough. You can stick the whole mixture in the freezer for another 5-8 minutes, then stir with a fork and you should see the clumps. You don’t want to overmix scone dough. That being said since these scones don’t get kneaded, be sure to make sure all of the flour at the bottom of the bowl is incorporated into the dough before scooping up the scones. In lieu of the cider glaze, these scones would also be delicious drizzled with the Maple Glaze from this post. You can make these scones several hours ahead of time. Just scoop them up onto your sheet pan, cover with plastic wrap and pop the whole tray into the refrigerator. When ready to bake, transfer to the oven and bake as directed. They make take a minute or two longer. 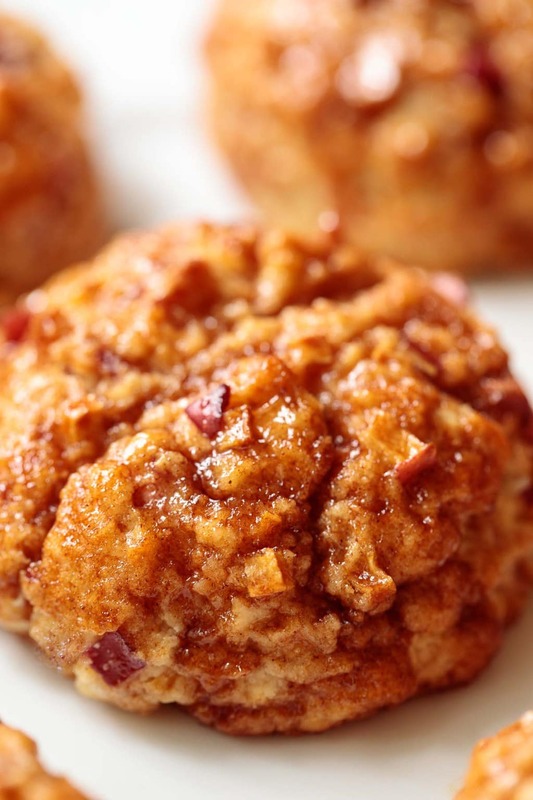 You can also make these Easy Cider-Glazed Apple Scones and freeze them, unbaked. Pull as many as you want out of the freezer and bake as directed, adding a few extra minutes to the total baking time. You want to look for a pretty golden brown color. P.S. You might think from this post that the Café Ridiculously Easy series is inclusive of biscuit and scone recipes. Nope! There are recipes for crackers, dinner rolls, bread, focaccia, caramel sauce, cinnamon rolls and more. The series is inclusive, however, of super easy, super delicious, company worthy, never fail recipes! P.P. S. I just made another batch of these and am nibbling on one as I finish up this post. MAKE THEM!! They are melt-in-your-mouth, outrageously DELICIOUS!! These Ridiculously Easy Cider-Glazed Apple Scones are buttery, flaky, and studded with bits of tender apple. They're also ridiculously good! Measure 1 cup heavy cream and place in the freezer for 10 minutes. Place the butter in a microwave-safe bowl, cover with a paper towel and heat on high for 1 minute. If not completely melted, return to microwave for 10-second intervals till melted. Set aside to cool a bit while prepping other ingredients. Whisk flour, baking powder, sugar, cinnamon, and salt in medium-size bowl. Add the diced apples and stir to combine. Make a well in the center of the flour mixture with your spatula. After heavy cream has been chilled in the freezer for 10 minutes, combine it with the melted butter. Stir with a fork until butter forms small clumps or globules. Add butter/cream mixture to the well in the center of the dry ingredients and stir with rubber spatula until all flour is incorporated and batter pulls away from sides of the bowl. Don’t over mix, but be sure all of the flour is mixed in. With a spoon or an ice cream scoop (I use a # 12 scoop), scoop dough onto the prepared sheet pan in 1/4-1/3 cup mounds. If desired (for a pretty presentation) add a few diced apple pieces to the outsides of each mound. Place in oven and bake for 15 minutes. While the scones are baking, prepare the cider glaze by combining all ingredients in a small saucepan. Bring to a boil then reduce to a steady simmer and cook for 5-8 minutes, until mixture is reduced and beginning to thicken and get syrupy. Remove from heat and set aside. 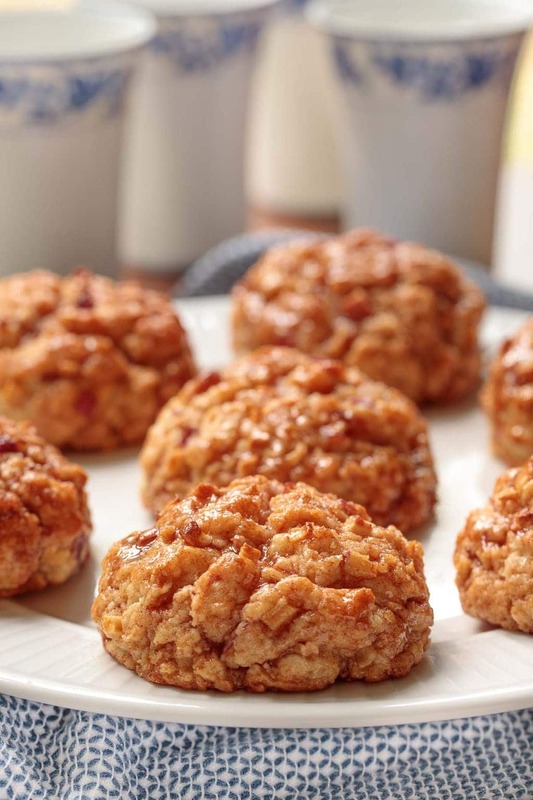 After baking for 15 minutes, remove scones from the oven and gently brush each scone all over with apple cider glaze. Use all of the glaze. Return to oven for another 5 minutes then remove and transfer to a cooling rack. Allow scones to cool for 10-15 minutes for the glaze to set. See Café Tips for further instructions and more detailed tips. Hi Marie, you can just grease the pan but I like to line it with parchment paper. I made these scones last night for a Bible meeting. Even the ladies that usually pass on the sweets had one and a half. They were soooooo good and so easy. I can’t wait to try the Maple ones. My girlfriend is always having tea parties and always serves scones. I know she will enjoy this recipe. Hi, I made these this morning. They are the best scones I have tasted hands down. I undercooked them a bit but will know better for next time and there definitely will be a next time. Thanks so much Chris. 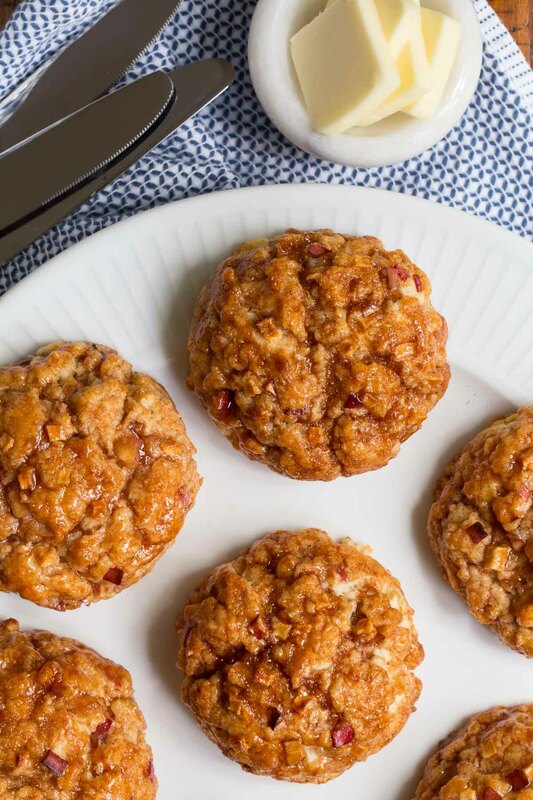 I also have made the maple pecan scones a number of times and they are excellent too. My daughter was over today asking for another apple pie. I think I’ll make a batch of your scones for her, and one for us. Thanks for the tips and I will get that handy-dandy Vidalia Chop Wizard! I made a batch the other day. They ARE wonderful. I did not have apple cider, so I melted a few caramels and drizzled the caramel sauce over cooled scones. Yummm!! I put the ones we didn’t eat immediately in a tightly sealed container. I was surprised that the caramel melted into the scones overnight. These scones are easy to make and quite tasty. They’ll go in my regular rotation of breakfast treats. Thanks for another great recipe. Apologies if I’m missing this, but, ABOUT how many scones will this recipe make. 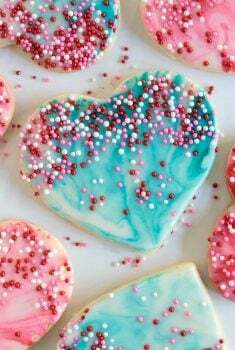 Want to make them for my staff at school…thanks! Hi Laurel, you didn’t miss it. Somehow the servings never went into the recipe plugin. I added them now. Thanks for noticing that. The recipe will make 8-10 medium-size scones. I’m always up for a scone Chris! And what a great fall flavor! And make them ridiculously easy and I’m so in! 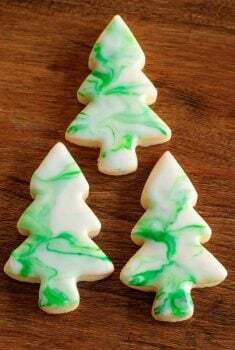 They look ridiculously delicious too 🙂 That glaze is wonderful! Awesome glaze! I must bake this for my husband as he is a huge fan of breakfast scones 🙂 Thanks for sharing, Chris. Such delicious scones, I love the glaze! Definitely going to try these. I love baking with apples in the fall. And your ridiculously easy buttermilk biscuits are my favorite biscuit recipe now too. I bet these are super tasty Chris. Great for the fall season. Perfect flavors! 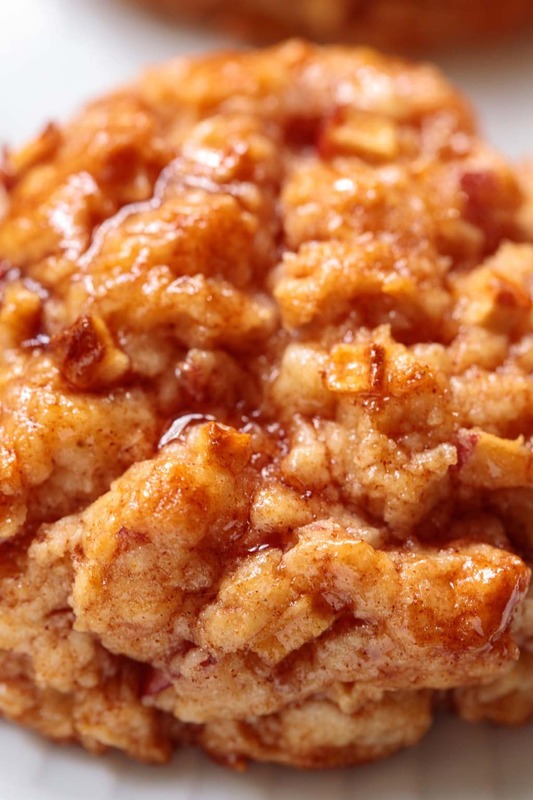 I used a similar biscuit making technique for my apple cobbler—found it via ATK, imagine that! So I know how amazing these scones must taste! I’d have to rename these ridiculously dangerous scones, I’m going to be making these WAY to often for my own good!